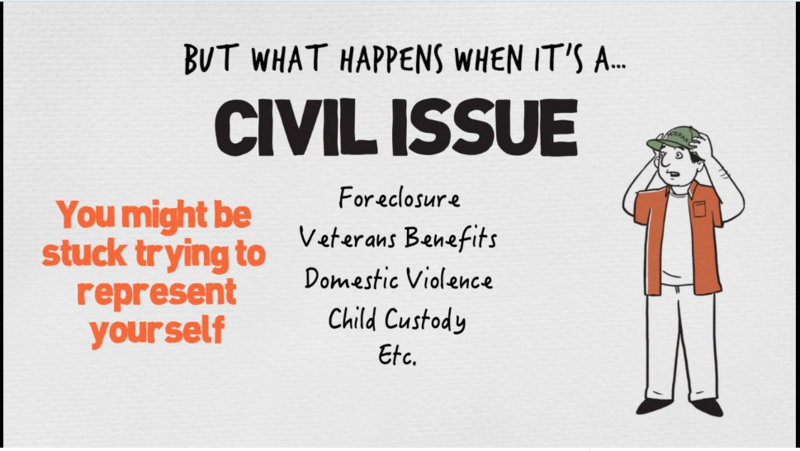 Kudos to the Illinois Equal Justice Foundation for creating the original version, and a big thank-you to the Kresge Foundation for providing support to make a universal version that we all can use to better explain what civil legal aid is, and why it is so important. Credit also goes to the Self-Represented Litigation Network, which alerted Kresge to the video”s existence. Voices’ only role is in sharing the video through its network and in this post. You can find the video on Vimeo by clicking on the image below. It is also available on the Voices website.